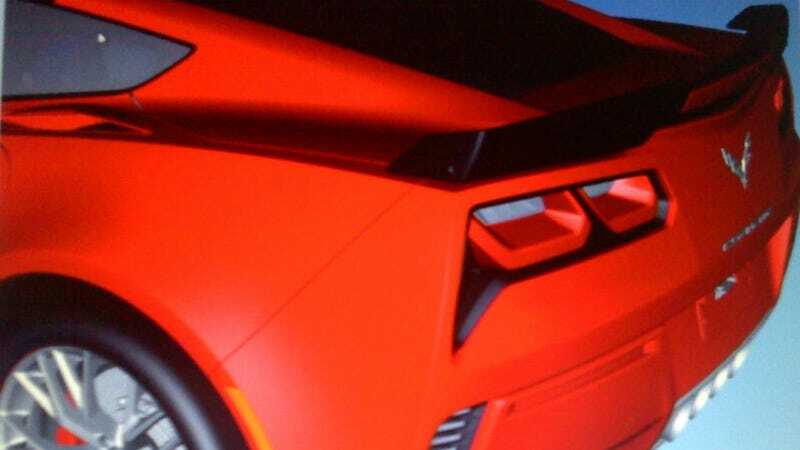 When we exclusively revealed thenext Corvette, everyone agreed the most controversial change is its Camaro-style taillights. Now we have a better look and we don't think the boxy future will be so bad. We were the first to bring you the full look at the 2014 'Vette, and though there have been doubters along the way, we've been proven right with every new leak. Even GM demanded we take our content down after we showed the whole front bumper. This picture was leaked on Corvette Forum at 11 last night, because the uploader "got to wait for Honey Boo season ender with the three thumbed baby birth." What we can see is how deeply inset those quad taillights are in the rear bumper. You might think that all Corvette taillights should be round, goshdarnit, but seeing these glowing in the night might change your mind. Of course, if you want to judge the whole car, we have a full-body rendering and animation to show off.